In this exciting collection you will find unforgettable and brilliant stories that place lesbian and gay characters back into American history. Fourteen talented authors have represented events in the historical timeline from the 1600’s Salem Witch Trials to 1970’s hijacker DB Cooper because they had a need to create something that was not there. Many tales are entertaining, heartwarming, and positive, but a few are dark and tragic. The lesbians on the loose in this collection are an entertaining mix of protagonists: cops, amateur sleuths, a PI, a judge, a bounty hunter, and one very insightful dog. There's even an intrepid high schooler and a mystery writer. 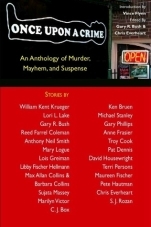 Despite greed and grief, rage and revenge, secrets and lies, many of the stories feature humor from a variety of characters trying to find their way in a difficult world--cops who've seen too much, revenge seekers, and women who want justice for themselves and others. Skylar Cassidy has been on her own for less than a year after a disastrous breakup. Shes found that meeting women is difficult  kind of daunting, actually. She feels like shes been run through the mill, and she doesnt want to go through it again. But when her best pal and business partner Mitchell signs her up at the GirlsGaylore.com dating website and characterizes her as a happy-go-lucky, amorous, risk-taking single, all hell breaks loose. Suddenly women are coming out of the woodwork and Sky hardly knows what to make of it. EIGHT DATES is a comical story of a womans search for Ms. Rightand how she finds quite a few Ms. Wrongs along the way. Dez Reilly, a patrol sergeant with the Saint Paul Police, is trying to decide which direction to go with her career: To SWAT? Or to Investigations? Or does she continue with the patrol supervision she is heartily tired of? Jaylynn Savage patrols the city's skyways and is happy with her work and with Dez, who is the love of her life. But when a colleague is murdered on duty, Dez and Jaylynn are both stunned. Before they can even process the loss, a witness is killed, Dez is targeted by a dangerous killer, and nobody she loves is safe. Can Dez protect those she loves and also stop a heartless, face-less murderer? Winter has set in, but young Eddie Bolton will never see another snowfall in Duluth, Minnesota. Someone has killed him in what should have been a secure juvenile detox ward at the Benton Dowling Center. Police Officer Leona "Leo" Reese is working temporarily as a state investigator of fraud and licensing infractions, but has been out of commission due to surgery. On her first week back on the job, she is faced with the aftermath of the 17-year-old's death. Working with the local police, Leo discovers precious little evidence and far too few people with motives for the killing. As she uncovers long-buried secrets, someone else is murdered, and Leo realizes that she, too, is in danger. In the midst of her own emotional turmoil, is Leo strong enough and smart enough to confront and catch a clever and ruthless murderer? After she fails her bi-yearly shooting qualifications, Leona "Leo" Reese, a 33-yr-old Saint Paul police sergeant, is temporarily assigned (lent out, actually) to the investigations divisions of the state's Department of Human Services. Angry and frustrated, she's saddled her first day with a case where an older woman at an upscale elder apartment has been murdered by an apparent burglar. But all is not as it seems, and it's up to Leo to get to the bottom of the case, while also trying to get her police job back. Kennie McClain moved from upstate New York to Portland to escape bad memories. In her off hours, she rehabs apartments and nurses a broken heart. Lily Gordon, a nationally-acclaimed painter, lives in the penthouse where Kennie works. She's beautiful and accomplished - and haunted after her lover ditches her. Sparks fly when Kennie and Lily finally connect . . . but then in one shattering moment, Lily betrays her, and Kennie's world comes crashing down, leaving her untrusting and in deep emotional pain. Can Kennie ever rise above these losses and risk her heart again? The women in these stories, unsettled, adrift, and often disillusioned, can't quite understand how they arrived at their present situations. But whether rejected, afraid to commit, or just misunderstood, even the most hard-bitten are not without some hope in the power of love. Sharply rendered, the tone of these glittering tales reflects their title: silver and gray, shimmery and wintry, yet also filled with the shiny hope of summer. In a world beset by war, two women on either side of the conflagration breach the divide-and save one another. Snow Moon Rising is a stunning novel of two women's enduring love and friendship across family, clan, and cultural barriers. It's a novel of desperation and honor, hope and fear at a time when the world was split into a million pieces. 25 romantic stories from favorite authors: Robin Alexander, Lynn Ames, Bridget Bufford, Carrie Carr, Caro Clarke, Stella Duffy, Nann Dunne, Jane Fletcher, Vada Foster, Verda Foster, Jennifer Fulton, Gabrielle Goldsby, Melissa Good, Lois C. Hart, Ellen Hawley, Karin Kallmaker, Lori L. Lake, Lee Lynch, Marianne K. Martin, Val McDermid, Radclyffe, Elizabeth Sims, Jean Stewart, Ida Swearingen, and Jane Vollbrecht, with Foreword by Kathy L. Smith. St. Paul police officers Dez Reilly and Jaylynn Savage have been working far too hard. When they take off on a camping trip to northern Minnesota with good friends Crystal and Shayna, they expect nothing more than long hikes, romantic wood fires, and plenty of down time. Instead, they find themselves caught in the whirlwind created when two escaped convicts, law enforcement, and desperate Russian mobsters clash east of the privately-run Kendall Correctional Center. Jaylynn is taken hostage and must use all her resources to stay alive. Can Dez catch up with the criminals, short-circuit the Russians, and save Jaylynn? It's a race to the finish as author Lori L. Lake uproots Dez and Jaylynn from the romance genre to bring them center stage in her first action-suspense thriller. In these 14 short stories, Lori L. Lake captures how change and loss influence the course of lives: a mother and daughter have an age-old fight; a frightened woman attempts to deal with an abusive lover; a father tries to understand his lesbian daughters retreat from him; an athlete who misses her chanceor does she? Lovingly crafted, the collection has been described as a series of mini-novels where themes of alienation and loss, particularly for characters who are gay or lesbian, are woven throughout. Lake is right on about the anguish and confusion of characters caught in the middle of circumstances, usually of someone elses making. Still, each character steps out with hope and determination. Different Dress is the story of three women on a cross-country music tour. Jaime Esperanza is the assistant production manager in charge of both stage and stars. The headliner, Lacey Leigh Jaxon, is a fast-living, heavy drinking prima donna with intimacy problems. Shes had a brief relationship with Jaime, then dumped her for a series of new band mates. Lacey still comes back to Jaime in between conquests, and Jaime hasn't gotten her entirely out of her heart. Lacey Leigh steamrolls yet another opening act and, in desperation, the tour manager brings on board a folksinger from Minnesota named Kip Galvin, who wrote one of Laceys biggest songs. Kip has true talent, she loves people and they respond to her, and she has a pleasant stage presence. A friendship springs up between Jaime and Kipbut what about Lacey Leigh? Different Dress is a honky-tonk, bluesy, pop, country EXPLOSION of emotion as these three women duke it out. Who will win Jaime's heart and soul? 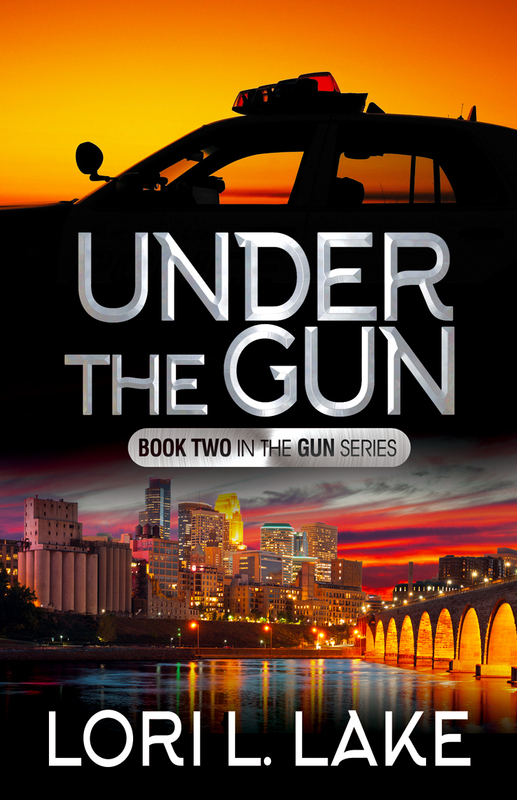 Under the Gun is the long-awaited sequel to the bestselling novel, Gun Shy, continuing the story of St. Paul Police Officers Dez Reilly and Jaylynn Savage. Picking up just a couple weeks after Gun Shy ended, the sequel finds the two officers continuing to adjust to their relationship, but things start to go downhill when they get dispatched to a double homicide - Jaylynn's first murder scene. Dez is supportive and protective toward Jay, and things seem to be going all right until Dez's nemesis reports their personal relationship, and their commanding officer restricts them from riding together on patrol. This sets off a chain of events that result in Jaylynn getting wounded, Dez being suspended, and both of them having to face the possibility of life without the other. They face struggles - separately and together - that they must work through while truly feeling "under the gun." While on patrol, Minnesota police officer Dez Reilly saves two women from a brutal attack. One of them, Jaylynn Savage, is immediately attracted to the taciturn cop - so much so that she joins the St. Paul Police Academy. As fate would have it, Dez is eventually assigned as Jaylynn's Field Training Officer. Having been burned in the past by getting romantically involved with another cop, Dez has a steadfast rule she has abided by for nine years: Cops are off limits. But as Jaylynn and Dez get to know one another, a strong friendship forms. Will Dez break her cardinal rule and take a chance on love with Jaylynn, or will she remain forever gun shy? Dani Corbett has only been with her new girlfriend a short while, but after a vicious hate crime, Meg is dead and Dani is left physically injured and emotionally scarred. Since her injury prevents Dani from fleeing on her motorcycle, which is her normal response to a crisis, she must find a way to deal with her grief and rage. 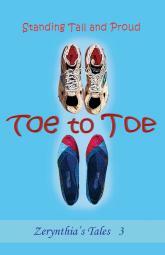 But as one door has closed for Dani, another opens when Grace Beaumont, who works as a physical therapist at the hospital where Dani is treated, befriends her and helps her to heal. With Grace's friendship and the help of Grace's aunts, Estelline and Ruth, Dani must get through the ordeal of bringing Meg's killer to justice. Ricochet In Time is the story of one lonely woman's fight for justice - and her struggle to resolve the troubles of her past and find a place in a world where she belongs. of the author and/or her publishers. Please contact lori@lorillake.com with questions. You can find e-book versions of the novels and story collections at the following sites. The starred ones also have print versions. If you would like an autographed print copy, please write to me. All of the books should be up at these sites ~ if you have any difficulties at all, please let me know!